Hey girl! 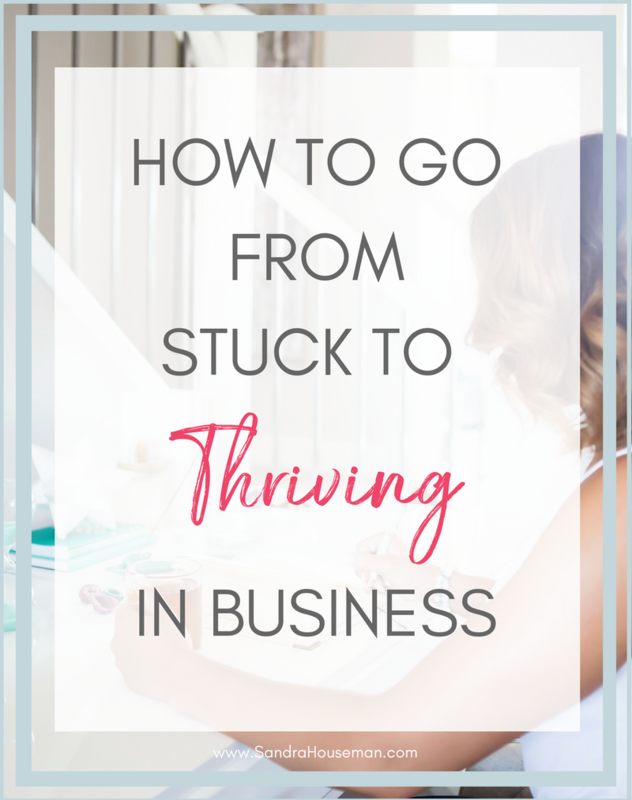 I'm pretty sure that every single one of us has experienced a “stuck” moment in our business. “Stuck” can disguise itself in so many ways, but mostly it leaves us feeling like we have NO CLUE what to do next. So eventually we stop moving forward. Have you been there? I know I have. I am naturally a VERY driven person. I strive for excellence in everything I do, and I push through resistance. Although this is a really great strength of mine, if I'm not careful it can turn into a huge weakness as well! I can push through so much resistance but if I don't stop to access WHERE the resistance is coming from in the first place, I’m actually doing myself a really big disservice in the long run. I know I want to launch a new program but for some reason I'm just NOT reaching the goals I set for myself. I don't know why I'm not wanting to do the work but I just can't bring myself to it. I resist. I eventually decide that my deadline is quickly approaching so I HAVE to kick things into high gear. I force myself to sit down and do the work but its flowing out of me like cold molasses… its like I keep hitting a brick wall with what I want everything to look like. I eventually either give up all together and go back to the way things were, forgetting this new program all together… or I stop completely and begin to feel like a failure. I'm burnt out. I feel like I just CAN'T get ahead. Maybe I'm not really cut out for this after all. Ok… sound familiar? I see this ALL the time, and yes, I've been there myself. Feeling “STUCK” is a really hard place to be. First things first, you have to get really honest with yourself about what actually got you stuck in the first place. Think back to when you really loved your life and business last. When did you REALLY feel joy about what you were doing?... About how you were showing up? When's the last time you were SO EXCITED about your task list? Now think about the things that have taken place between then and now. Have there been any big developments, launches, changes, etc., that have taken place in your business since you were truly loving it? If so, what are these things? Which of these things do you feel negative, uneasy, or overwhelmed just thinking about? It's likely that these things could be the beginning (or trigger) to becoming stuck in the first place. If you find yourself thinking that you have never truly been overjoyed with the way you approach your business, then think through what things bring you joy in life in general. Do you consistently do these things? This one plays a bit off point number one... You have to figure out the things that truly bring you joy and make sure you are doing these things on a regular basis. The truth is if you're not feeding your soul and you're only doing the hard work, you WILL eventually burn out. It's not a question about if…but when. Your job is to determine what things you LOVE to do in business. And what things you LOVE to do in your personal life. Now the key is setting intentional time to actually work these things into your days! And no, that's not selfish. The best thing I ever did for my business was stop and reach out for help. When you find yourself in a downward spiral of overwhelm and burnout, it's so important to seek the support you need. What practical things do you need to grow your business? Does your brand need work? Do you need website support? Do you need help with planning and just thinking everything through to gain clarity in your next step? There are amazing ladies who offer professional support in any area you need help in your business. Don't let fear hold you back from asking for the help you need. And if you are ready for more support in your business, check out my 8-week group program, Next Level You.